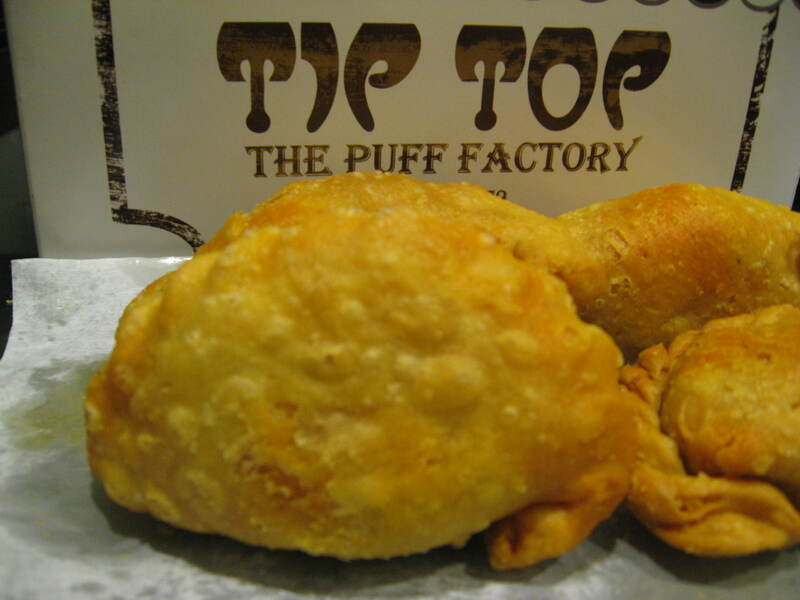 Tip Top Curry Puff – used to be very good but …. 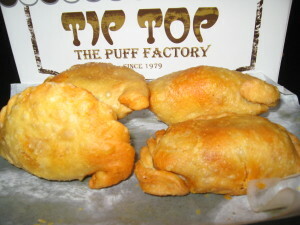 Tip Top Curry Puff – Used to be very good but..
Latest update as of Aug 2018: Used to be our favorite curry puff but with the expansion in the business, tip top curry puff apparently not able to uphold its quality, the curry puff from Pasir Ris and Tampines outlets that we had tried failed miserably in both taste and texture, what has gone wrong with Top Top Curry Puff? Problems of the central kitchen or changed in the recipe? 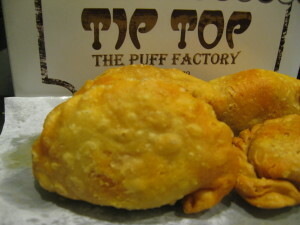 Whatever it is, Tip Top Curry Puff may need to re-examine the quality control with their curry puffs seriously, the old day tantalising flavour is now gone, it is a good brand that heading in the wrong way. Not many people can resist the temptation of a curry puff. The potato, eggs, chicken and the spices wrapped in the crispy skin can be tantalizing to the taste buds. My family is jingoistic to this puff and we feel compelling to buy whenever we come across one. However, most of the time, the outcome was more disappointment than satisfaction. Among those curry puffs we have tried, Tip Top curry puff is more superior from the taste and flavour, you can smell the fragrance of the nice spice ascending from the flour skin enclosure, the ingredients presented a well balance of the potato, egg, chicken concord by the catalyse from the spices added, all came together created a lip smacking delights. The spice was not overwhelming and some may find the curry paste was a little too mild. My chubby boy likes the puff skin the most which was crispy and had a nice texture, looking at the crumbs dangling around his mouth, what else can be more fulfilling for him with the expressively satisfying look. For years, TipTop curry puff has been our routine must buy snacks whenever we patronised Ang Mo Kio Centre, take away is a must and we enjoyed the canopy of the puff aroma in our car, one thing for sure, the puffs were not likely to survive from the four gluttons before we get home. It just got us hooked. Have the editorial team tried the Malay curry puff at Havelock Road Food Centre? It’s usually sold out by 11am daily. Thanks for the note, we will definitely check it out one of the days.